By providing a proactive plan to physicians and patients, we manage and deliver a homecare solution that helps patients reach their goals and empowers confident living. A Proactive Approach to Home Care. Paradigm started in 2005 with a vision to bring an unprecedented level of rehabilitation to the home setting, providing proactive therapy programs for the aging population – from orthopedic and spine programs to dementia and pulmonary programs. 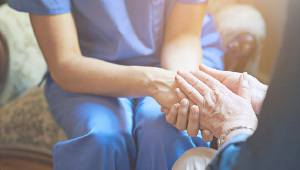 As the medical industry evolves, physicians and hospitals are looking to home healthcare providers to play an integral part in managing patients’ complex medical conditions. Paradigm has responded by developing and implementing comprehensive nursing and disease-management specialty programs, including those for heart failure, post-surgical and wound care, complex medication management, and much more. Our balanced clinical approach to nursing and therapy helps patients achieve strong outcomes, whether they need care for six weeks or six months. Proactive planning and execution have resulted in our five-star Medicare rating for positive patient outcomes, as well as a suite of successful specialty programs. We place a priority on excellent communication among everyone involved: within our organization; with physicians and their staff; with hospitals and other healthcare clinics; and with patients and their families. Our leadership and management team blends the best of clinical and business perspectives, supported by the expertise of our highly tenured staff. 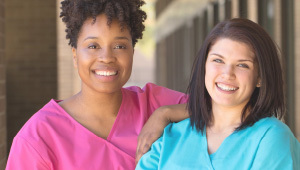 We are dedicated to providing the best care and outcomes while providing a great work environment that challenges and rewards. Everyday our team works to create consistent outcomes for doctors and their patients with our Proactive Plan for Healing™.